How quickly it all fades into the background. Back in the day (just a few short years ago! ), if you had asthma, or diabetes, or if you had cancer ten years ago--you might not be able to get health coverage because of your pre-existing conditions. Pre-ACA, 10 years ago--on the day I was told that I needed to have surgery in the next week because of an abnormal PAP--the nurse pulled me aside to mention to me that I needed to make sure I never let my insurance lapse. An abnormal PAP requiring surgery counts as a pre-existing condition. I am not now, nor have I been for five years, considered medically high risk. I would still be considered to have a pre-existing condition. Today, the fact that you had surgery a few years ago wouldn't matter. The Affordable Care Act individual mandate operates on the idea that "everybody is in for insurance, and so the risks are spread out." The part that not everybody understands is this: in order to make it possible to cover pre-existing conditions, everybody--not just people with pre-existing conditions--needs to be in the insurance pool. If you wait until you're sick to get covered, well...that would be like waiting until you got into a car accident to try to get auto insurance! Which wouldn't make sense, right? 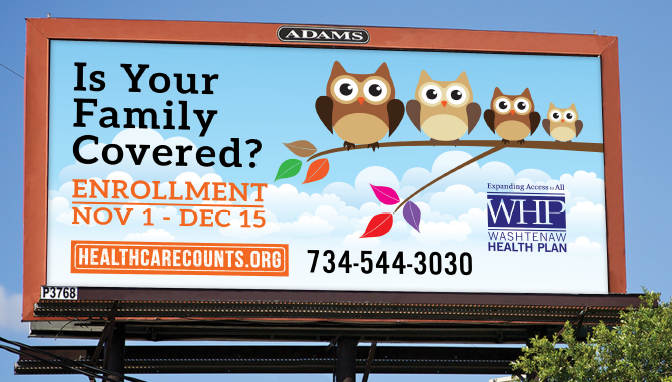 Don't wait--get covered! You can visit the Washtenaw Health Plan Monday through Friday, 9-4, 555 Towner, Ypsilanti MI, or call us at (734) 544-3030 for a free insurance assessment.